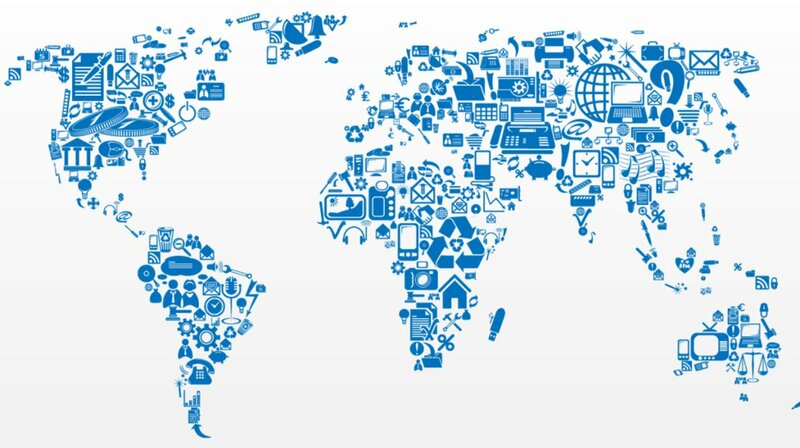 The Internet of Things is already changing the world - and it's just the tip of the iceberg. Take a look at some of the emerging tech that is going to shape the future. In February 2017, Vodafone announced that it had become the first global Internet of Things mobile provider to exceed 50 million connections, demonstrating growth of around one million new connections a month. And in SA, Vodacom opened a Narrowband Internet of Things (NB-IoT) laboratory at its Vodacom World campus in June to commercialise machine-to-machine and IoT systems using narrowband low power. A major barrier to the growth of the Internet of Things is the fact that many 'things' are remote, inaccessible, or simply too numerous for it to be economically viable to connect them. Narrowband IoT is a solution to this problem. It is a Low-Power Wide-Area (LPWA) network technology designed to connect many devices over vast distances, using existing infrastructure and very little power. By investing in its network for NB-IoT, Vodacom will enable South Africans to participate in developing new solution sets for the Internet of Things. This will push the boundaries of what is possible, as well as bring services to the market that will genuinely transform lives and businesses in South Africa for the better. New services enabled by NB-IoT will include the next wave of connected things – from water meters and environmental monitoring devices, to smoke detector alarms. The possibilities are limitless. Vodacom’s NB-IoT network will leverage off its existing established network infrastructure, ensuring excellent coverage and reliable connectivity. A large portion of the network will only require a software upgrade to support the technology, which means that deploying NB-IoT across Vodacom’s existing base stations will be a relatively quick roll-out driven by geographic deployment and based on demand. IoT opens up new possibilities for cloud technology as the increasing volume of data needs additional processing and storage capacity. Cloud and IoT together will deliver truly transformational outcomes, both in business and in our wider society. What IoT means for economic growth in South Africa is exciting, as we will see the digitisation of new ecosystems and value chains. Smart cities will no longer be a concept, but a reality, when Vodacom's vast mobile infrastructure and fixed-line IoT connectivity stack is combined with the new NB-IoT offering. With this new technology, connecting millions of things in a city is economically viable, and possible. The integration of household IoT products such as Amazon Alexa or Google Assistant in more and more devices will open marketers’ eyes to new ways of interacting with customers. This interconnection between the user and device will become more intimate, allowing developers to build a better brand experience. Marketers are already exploiting 'mobile moments' - the snatches of time customers spend checking their cellphones. This will be extended to include smart home speakers and assistants, and smartwatches. Machine learning advances on its own, but IoT can rapidly accelerate its ability to connect various devices to share and digest large amounts of data at once. This means better analytics and better data that can have incredible benefits for business. Concerns over security have been one of the main barriers to further IoT adoption. As we connect more devices, the challenge is to ensure that we don't make ourselves more vulnerable to attacks. When adopting IoT, security concerns must be balanced with customer experience, time-to-market requirements and cost. Experts predict a rise in hacking attacks both on endpoint devices and on the cloud - fortunately, many innovative security solutions exist to help keep your IoT ecosystems protected. Businesses that adopt IoT suddenly generate massive amounts of data - often far more than can be usefully processed or analyzed. IoT marketplaces enable businesses to share and monetize their data via third-party providers. This has a number of benefits - for example, data from across an industry can be aggregated to identify trends, and can help facilitate interoperability between systems of different devices, companies and industries. IoT marketplaces also help industrial businesses to modernize without the significant investment of changing their legacy devices - using the marketplace, they can still tap into data hubs, security monitoring, and data mapping and visualisation. The future really is exciting.